The Sentinel Project has a longstanding interest in the potential of unmanned aerial vehicles (UAVs or drones) to serve humanitarian purposes, especially in defending human rights and preventing atrocities. We have publicized the topic, started to explore the technology, and recruited advisors such as Jack Chow, a former US ambassador with expertise in this area. Now we’re sharing an excellent video featuring comments from Gregory Gordon, the most recent addition to our Advisory Council who also happens to have a strong interest in UAVs for atrocity prevention. 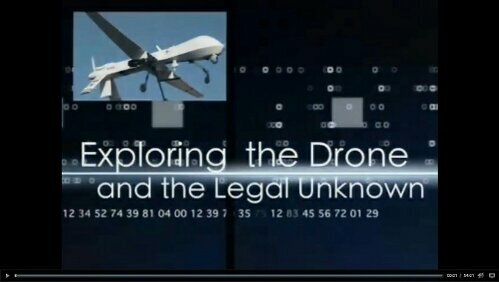 The University of North Dakota, a leading educational instution on UAVs where Professor Gordon heads the Center for Human Rights and Genocide Studies, has a collection of videos of experts speaking about various aspects of this new technology. Click here to check them out.